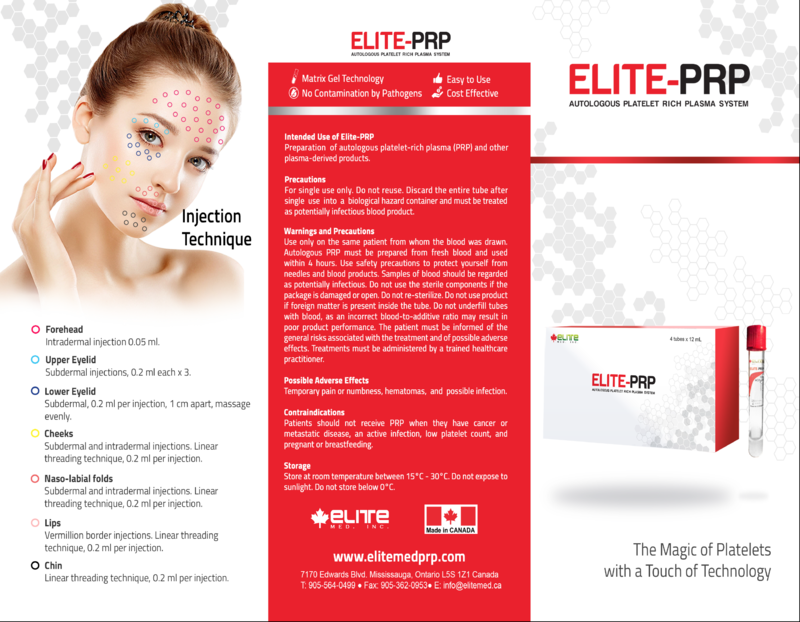 Elite-PRP is a revolutionary treatment method, which utilizes the components of your own blood to regenerate your skin. These ingredients reside within the fraction of your blood named "Platelet Rich Plasma" (PRP). PRP is enriched with platelets, stem cells and growth factors. Once injected into your skin, these substances will accelerate the normal healing process via new collagen formation at the treatment site. The process brings long lasting tissue rejuvenation by your own cells. PRP has been widely used for many years in plastic surgery, orthopedics, dentistry, soft tissue implants, and other types of procedures. A platelet rich plasma is a concentration of human platelets in a small volume of plasma measured as 1,000,000 platelets per mm3 or 2-6 times the original concentration of whole blood. 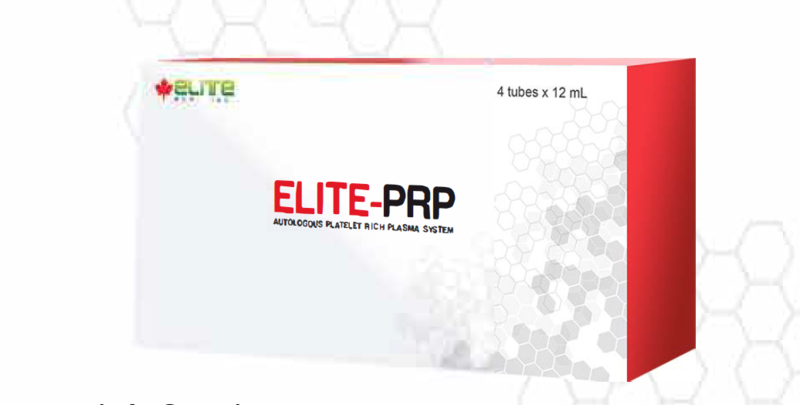 What is Elite-PRP used for? Aesthetic Rejuvenation: Aesthetically, the skin naturally ages over time; deteriorating its appearance. Elite-PRP is an exciting new approach to rejuvenate your skin, naturally. Anti-Aging: Elite-PRP is an amazing treatment method to treat sagging skin, wrinkles, fine lines, evening skin tone, and much more due to collagen production. Damaged Skin: Evidence that PRP removes photo damaged skin has been clinically proven multiple times. Scars & Acne: Does a traumatic surgery for the removal of your scars sound comfortable? Elite-PRP does not think so. There are many clinical studies concluding that there is a positive correlation between using PRP therapy to treat scar & acne. Hair Loss: One of the most effective ways to stimulate hair growth is mesotherapy of the head skin with PRP treatment. 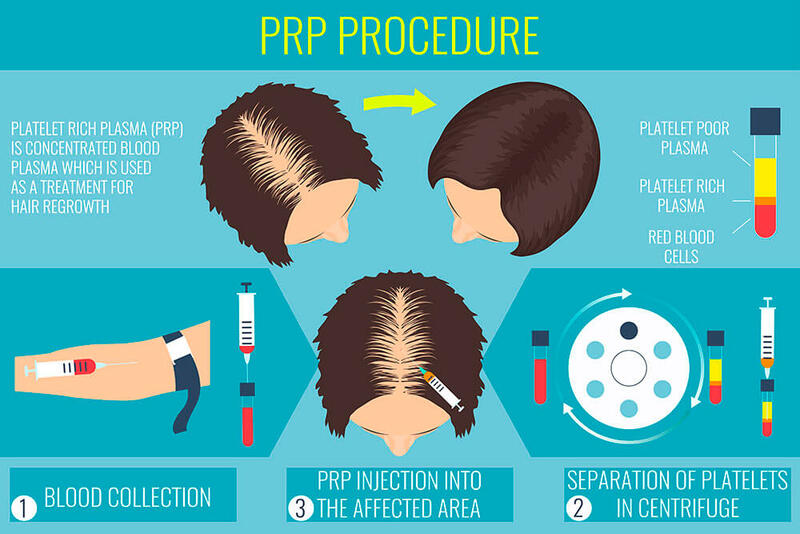 Individuals who have hair loss due to an inadequate diet, hormonal imbalance, and/or circulatory insufficiencies PRP treatment is a perfect solution. Orthopaedic Treatment: The use of PRP injections has become a prevalent treatment in musculoskeletal conditions within the past few years. PRP injections have been found to be safe and accelerate the soft tissue healing process. Ophthalmologic Conditions: PRP treatment has been extended to ophthalmology as it has a surplus of benefits in healing issues within the eye. Dental: Platelet-rich plasma (PRP) is a new approach to tissue regeneration and it is becoming more valuable in promoting the of healing dental and oral surgery procedures. Elite-PRP is a revolutionary procedure which uses the components of your own blood to regenerate your skin. The ingredients of this innovative method reside within a fraction of your blood, called "Platelet Rich Plasma (PRP)". PRP treatment is enriched with platelets, stem cells and growth factors. Once you have received a platelet-rich plasma injection, the following components will accelerate tissue healing via new collagen formation at the treatment site. The process is relatively quick and painless. PRP has been extensively used for many years in plastic surgery, orthopaedics dentistry, cosmetic surgery, general surgery, sports medicine, hair transplants, skin reju­venation, cardiac surgery and many different types of implants. Cosmetically, PRP has become popular due to use by celebrities. Ortho­pedically, the Platelet Rich Plasma helps patients to heal from trauma or surgery. What is Elite-PRP based on? Elite-PRP is a method that utilizes Platelet Rich Plasma (PRP). PRP is a concentration of human platelets (PLT) in a small volume of plasma. PRP harnesses the patients' own (autologous) PLT, which is derived from his/her own blood. Why is Elite-PRP so effective? Elite-PRP utilizes your own blood; taking advantage of the human body's normal healing pathways, but at an accelerated rate. Have you ever had a wound? During this time, many cells rush to the injured site to stimulate healing - among these cells there are platelets. Elite-PRP extracts the platelets that are used during this healing process. What does PLT do at the injection site? Platelet rich plasma is a concentration of human platelets in a small volume of plasma, measured to be 1,000,000 platelets per mm3 or 2-6 times the original platelet concentration in our blood. Ten to twenty minutes before treatment, your physician will draw twenty millili­ters of your blood using a standard procedure; causing minimal pain (similar to taking a blood test). After extracting your blood, the phy­sician will conduct a centrifuge procedure which will last 6-9 minutes. Elite-PRP is injected below the surface of your skin into the thera­peutic area - increasing the skin's thickness. Do I need a skin test before being treated with Elite-PRP? No, you do not require a skin test before treatment. Are the results from Elite-PRP immediate? Not always. After your first treatment, it may appear that Elite-PRP worked immediately due to the swelling in the treated area, but this is because of the plasma. In a few days, the swelling will go down, and your body will absorb the water from the plasma - results of the therapy may not be seen after this time. Elite-PRP takes time to correct the deterioration of one's skin gradually. During your post-thera­py check-up, the healthcare practitioner may decide to administer another treatment for you. A minimum of 3 sessions is typically required for noticeable results. Maintenance after that would take place every 6 months. Therapeutic Aesthetics. All Rights Reserved. Copyright 2019.